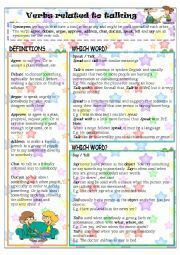 I would love to share this worksheet with you all. An explanation of future forms (will,going to and the present continuous future). Exercises and keys included.Hope you like it! God bless you all. A brief explanation of confusing modal verbs.Exercises + answer keys included. Hope you find it useful! Have a nice day! 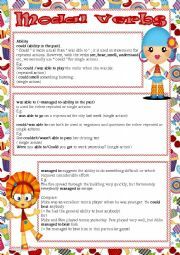 A worksheet explaining the usage of some verbs related to talking.Exercises + answer keys included. Have a nice day! 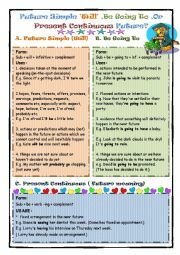 This is a new worksheet in which you will find a simple explanation of conditionals. Enjoy it!